The Cherokee Word for Water is based on the true story of the Bell Waterline Project. 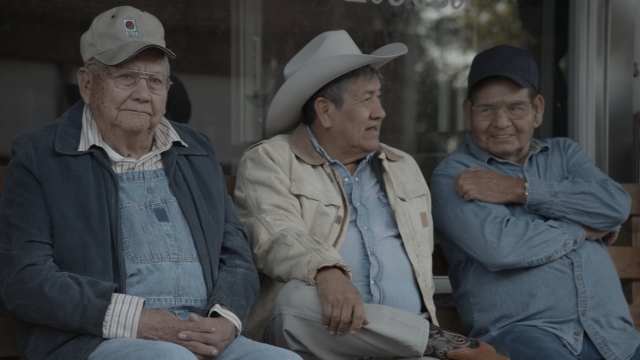 The feature film is set in the early 1980s in a rural Oklahoma Cherokee community where many houses lacked running water. 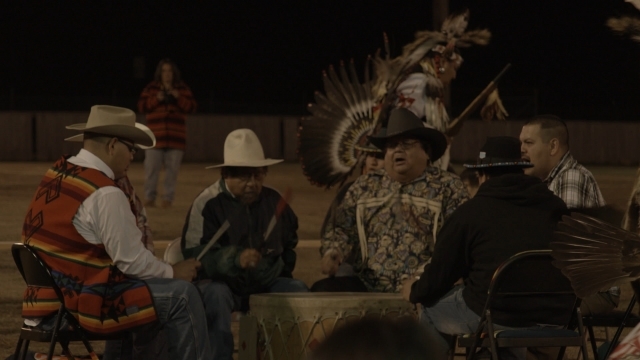 Led by Wilma Mankiller (played by Kimberly Guerrero, A&E’s Longmire) and Cherokee organizer Charlie Soap (played by Mo Brings Plenty, Netflix’s House of Cards), the community of volunteers built nearly 20 miles of waterline to save their community. The successful completion of the waterline, using the traditional concept of gadugi — working together to solve a problem – led to Wilma’s election as Chief, Wilma and Charlie’s marriage and sparked a movement of similar self-help projects across the Cherokee Nation and in Indian Country that continues to this day. 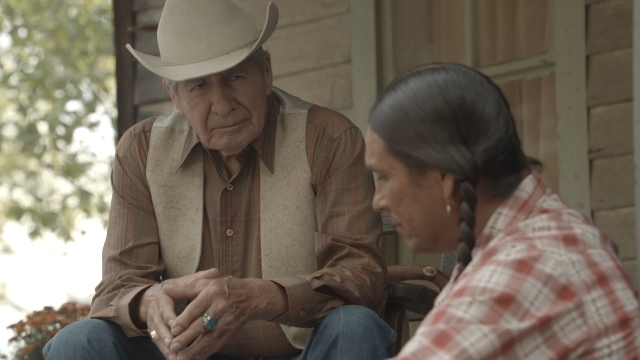 The Cherokee Word For Water was voted the top American Indian film of the past 40 years in a survey conducted by the American Indian Film Institute in 2015. Order a DVD or Blu-Ray of The Cherokee Word For Water. 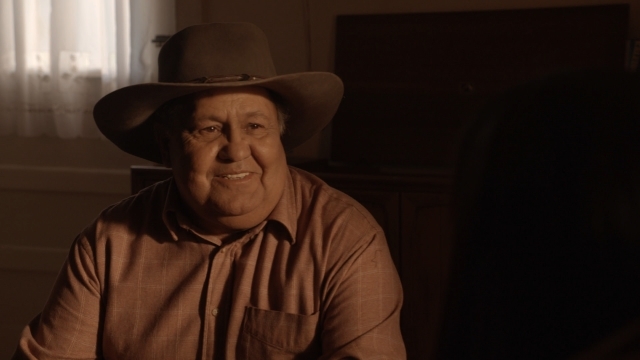 The Cherokee Word For Water is also available for rent or purchase on iTunes. To show The Cherokee Word for Water in a community venue or on campus, you must first purchase a screening license. The process is simple: Click the button below to get started. Live Streaming for The Cherokee Word For Water is now available. Help us bring The Cherokee Word for Water to your hometown! We’ve partnered with Tugg.com, a web-platform that helps individuals, groups and organizations to set up personalized movie screenings in theaters across the country. The process is simple - YOU pick the time, place and date, and Tugg will reserve the theater and give you a personalized event page for your screening. Here’s the trick though - you need to pre-sell a certain amount of tickets in order for the event to be confirmed! Once you get your event page, it’s up to you to spread the word to your community and let folks know the event will only take place if enough tickets are reserved before a deadline. Once enough tickets are sold, your event will be confirmed and you can sit back and enjoy the show! If there aren’t enough tickets sold, then no one will be charged for the reservation and the screening will be called off. Noon screening followed by Q&A with Director Charlie Soap and Producer Kristina Kiehl. 7 p.m. 9th Annual Film series, sponsored by First Nations Educational and Cultural Center, Indiana University, Bloomington. If you have an upcoming screening that is not listed here, please email us and we will add your event to our list. If you would like to arrange for a member of the cast or crew of The Cherokee Word for Water to attend your screening, contact Amanda Collins by email. NATIONAL MUSEUM OF THE AMERICAN INDIAN-D.C.
NATIONAL MUSEUM OF THE AMERICAN INDIAN-N.Y.